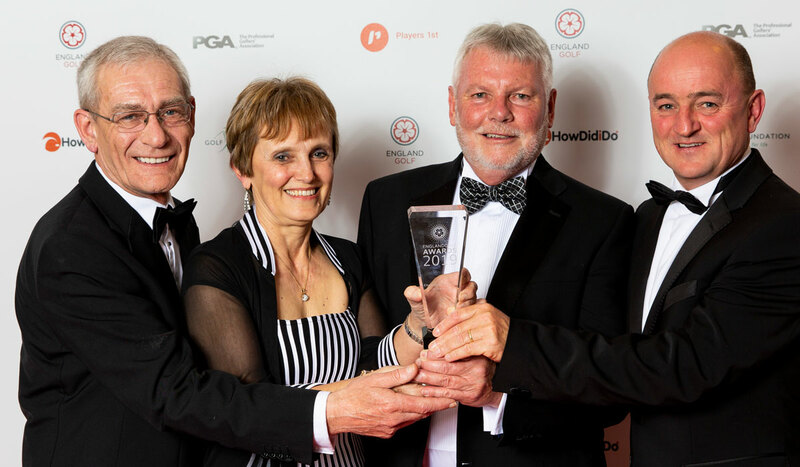 Stanton-on-the-Wolds Golf Club in Nottinghamshire has won England Golf’s Championship Venue of the Year Award – and the congratulations of European Tour star Tyrrell Hatton. He sent a special message to the club as their achievement was applauded at the England Golf Awards 2019, sponsored by adidas Golf. Over 400 guests heard how the judges were bowled over by the approach of dozens of volunteers and the staff team, who totally bought into staging the English Senior Men’s County Championship. What’s more, the greens were judged to be probably the finest at a championship event all year. It was a fine reward for the club, which even moved its AGM so officials, members and volunteers could attend the awards at the Royal Lancaster London. “This is fantastic recognition for the club and for all the people who put so much hard work into the event,” said Paul Keeling, the Stanton-on-the-Wolds Manager. When the club agreed to host the event it was the first time they’d staged a national championship and, said Keeling, it was a step into the unknown. But everyone was determined to make it a success. Over 50 volunteers signed up to help and the staff cheerfully worked from silly o’clock to silly o’clock. The response from the four visiting teams was exceptional, with their positive feedback filling a section on the club’s website. The club’s representatives (pictured) received its award from Nigel Edwards, England Golf Performance Director and the Team GB golf team leader for the 2020 Tokyo Olympics (right). Sherwood Forest Golf Club, Nottinghamshire.